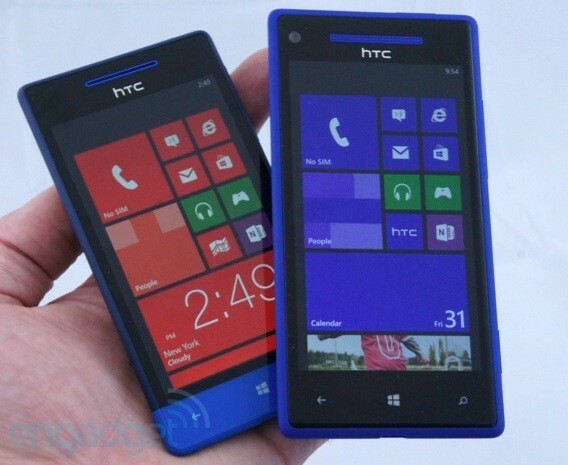 The HTC Windows Phone 8X was announced at an HTC event last Wednesday and now Amazon UK reveals the SIM-free variant up for pre-order, with an expected shipping date of November 8th. It might cost somewhere around £531.43, or $863. It features a 4.3in HD touchscreen, an 8MP rear-facing camera, a front facing camera, a 1.2GHz dual-core Snapdragon processor, integrated Beats Audio software, and 16GB of internal storage. Along with the purple and black models, it will also be available in yellow colour. We’re expecting a late October or early release of the Windows Phone 8X in the United States, when we believe that most new Windows Phone 8 devices will begin to hit the market, so Amazon’s date seems pretty correct. Lets see what the 8X has in stores for us..
0 Respones to "Amazon reveals HTC Windows Phone 8X market release date"